If you are wanting a fresh tree during the holiday season, you have the opportunity to purchase permits to cut a tree down in one of many of Arizona’s national forests. The five national forests in the state have each published information about their permits including that trees can only be chopped down in defined ranger districts. Maps will be distributed to customers picking up their permits to know of the specified areas where trees can be cut. The list of information concerning when and where permits are available in Arizona national forests are listed below. Remember that permits can sell out fast. At the Tonto National Forest, there are permits available at the Cave Creek, Mesa, Payson and Pleasant Valley ranger districts. The permits being sold are on a first-come, first serve basis. Permits can be bought in person with the payment methods of cash, check or credit cards. 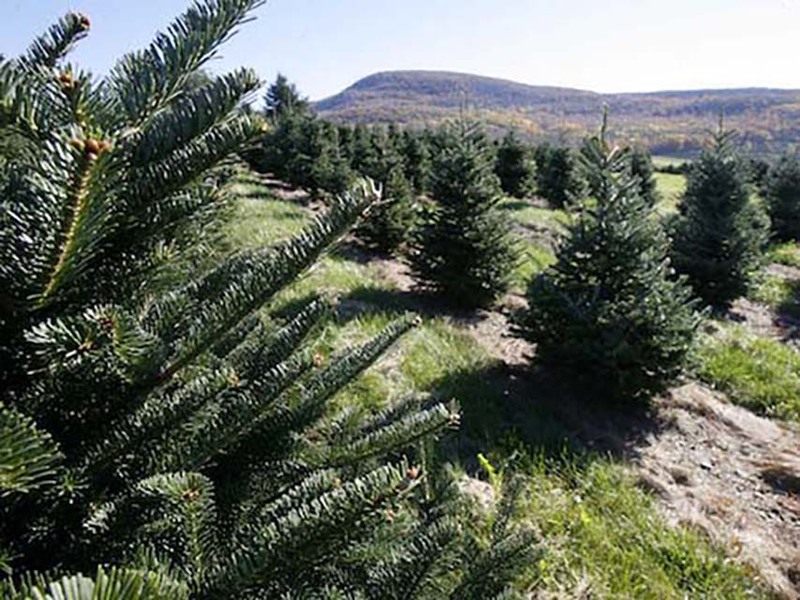 After receiving their permit, customers will be given their map to show designated cutting areas and given additional Christmas tree cutting instructions. Cutting season for Tonto National Forest is from November 18th to December 24th. Free Christmas tree permits are available for eligible fourth-grade students, while supplies last. These free permits are made available through Every Kid in a Park initiative is a nationwide program that encourages interest in conservation. More information about the program is available at www.everykidinapark.gov. Information about permits at Tonto National Forest is available at https://www.fs.usda.gov/detail/tonto/news-events/?cid=FSEPRD561953 or by calling (602) 225-5200. The permits at this national forest have been up for sale since October 10th. You can purchase permits from the Apache-Sitgreaves National Forest through the mail or on-site. It cost $15 for a permit per household for a tree up to 10 feet. If you want to cut down a tree taller than 10 feet, you must contact the ranger district office to make arrangements. Information concerning Apache-Sitgreaves National Forest is available at https://www.fs.usda.gov/detail/asnf/passes-permits/forestproducts/?cid=fsbdev7_012546 or by calling (928) 333-6280. This national forest began selling over-the-counter and through-the-mail Christmas tree tags on Thursday, November 16th. The permits for $15 allow the permit bearer to chop down a tree shorter than 10 feet tall from the one of the three ranger districts the tree tag was purchased from. Kaibab National Forest cutting season is from November 16th to December 24th. Permits are only for use on one tree in the ranger district it was purchased from and cannot be used to chop down a tree in a different district unless it specifies it on the tree tag. After the permit is received, customers will get a map to show their specified cutting area and given additional tree-cutting instructions. Information about Kaibab National Forest tree permits is available at https://www.fs.usda.gov/detail/kaibab/home/?cid=stelprd3823305 or by calling (928) 635-8200. There were only 600 permits available for sale at Coconino National Forest. This year, like last year, the permits sold out in the first week. There are a handful of free Christmas tree permits are available for eligible fourth-grade students through Every Kid in a Park initiative. You will need to contact the office to check availability of these permits. The tree cutting season for Coconino National Forest is from November 18th to December 24th. Trees cut have to be under 10 feet and must be chopped down in one of the specified areas in the Mogollon Rim Ranger District. The district is approximately located an hour south of Flagstaff. Information about permits is available through their website https://www.fs.usda.gov/detail/coconino/passes-permits/forestproducts/?cid=stelprd3821233 or by calling (928) 527-3600. This national forest began selling the 600 Christmas tree permits on Saturday, November 18th at the Bradshaw Ranger District and Chino Valley Ranger District. The Verde Ranger District permits began their sale on Monday, November 20th. Permits can be purchased over-the-counter and by payment methods of cash, check or credit card. Since there is a limited number of permits, they are sold on a first-come, first-served basis. After a permit is purchased and picked up, customers will be given a map showing the specified cutting areas along with Christmas tree cutting instructions. Permit holders can chop down a tree in their designated cutting areas from November 18th to December 24th. Information about permits can be found at the website https://www.fs.usda.gov/detail/prescott/passes-permits/forestproducts/?cid=stelprd3821805 or by calling (928) 443-8000.